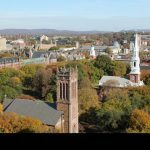 Welcome to New Haven, Connecticut: home of the Yale, historians, and foodies. 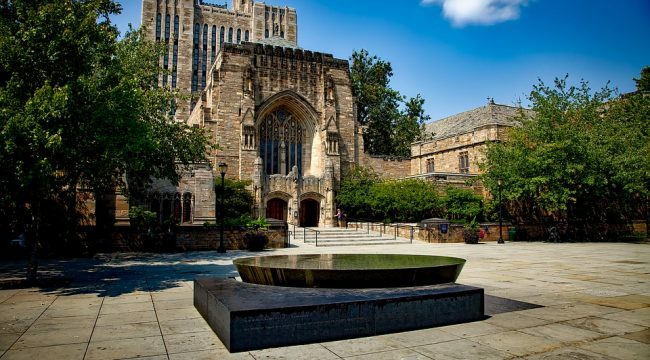 Situated a couple hours north of New York, New Haven is a charming mixture of college town and cultural hub. 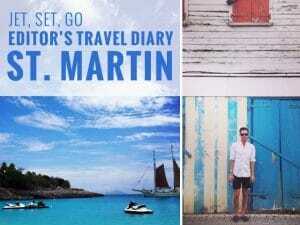 Where to Stay: Want to make sure you're in the heart of it all? Book a room at The Study at Yale. This boutique hotel offers picturesque views that overlook the town—so request a room on the 7th floor during your stay. While you’re there, take advantage of their library, curated by New York City’s Strand Book Store. Fine Arts: The town is scaled to a grid, making it extremely walkable and easy to navigate, which may lead you to one of the town’s museums. The Yale University Art Gallery and the Yale Center for British Art house the works by Degas, Lichtenstein, Rothko, and Van Gogh. The Shubert Theater, which opened in 1914, has a stage known to many of Hollywood’s legends, including Brando, Bogart, Hepburn, and Redford. The storied venue presents plays, operas, musicals, and Pre-Broadway shows (without the Broadway prices). 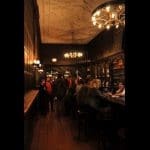 Where to Eat Savory: Heirloom, one of the most reputable restaurants in town, is located inside The Study at Yale. Heirloom serves up true New England style cuisine. If you're in the mood for something healthy, organic, and vegan friendly, then Claire's Corner Copia is your best choice. A personal favorite, with its masculine, English-like aesthetic, is Ordinary—and it’s anything but that. Be sure to order their smoked pork grilled cheese. The cheese comes straight from Jason Sobocinski'sCaseus Formagerie and Bistro. Try it with their bourbon-based “William I Won't Tell” cocktail comprised of cider, ginger, and cinnamon. Pizza: You can't discuss this town’s food scene without mentioning “New Haven-style” pizza. Major players of this thin crust pie phenomenon include Pepe's famous “white clam pizza.” Then there's Bar, serving up the competition, with innovative toppings such as mashed potatoes and bacon. If you're feeling adventurous, it's worth a taste. Where to Eat Sweet: We all crave something sweet from time to time. Enter the Mochi Store, which has a plethora of ice cream selections to choose from, including the surprisingly delicious Red Bean. The Mochi Store even ranked on Oprah’s Favorite Things list. Fun fact: their treats are both kosher and gluten free. If ice cream doesn't suit your tastes, visit local favortie Orangeside for a toffee crunch square donut. Where to Shop: Project Storefront's Lipgloss Crisis pays homage to the past, with its vintage pieces, handmade goods, and retro-chic decor. Then there's Wave on Chapel Street, which stocks jewelry, gifts, and quirky cards. This boutique is a must-see if you're in the market for an Alexis Bittar lucite piece. Yale was first founded as the Collegiate School in Killingworth, Connecticut in 1701, before moving to New Haven. The town of New Haven, established in 1638, was one of the earliest colonies built on a grid. 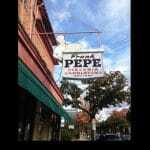 Pepe's white clam pizza was voted the best pizza in America last year by The Daily Meal. Ordinary, which opened in 2013, is owned by local restaurateurs Jason and Tom Sobocinski, along with Mike Farber and Tim Cabral. Locals come for the grilled cheese and smoked meat sandwiches. 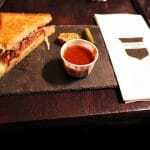 Ordinary's pulled pork grilled cheese. The cheese comes straight from Caseus Fromagerie and Bistro in New Haven, both owned by The Big Cheese chef, Jason Sobocinski. 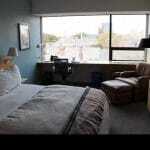 Rooms at The Study at Yale invite you to sit back, relax, and take in the views of the University. 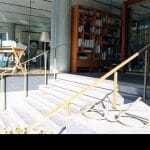 The Study at Yale comes with its own library comprised of books hand-picked by the Strand Book Store in New York City. Many of the bricks seen throughout Yale's campus were imported from Dublin, Ireland. 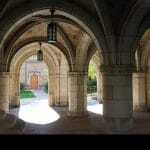 The architecture throughout the grounds is similar to that of Oxford University in England. 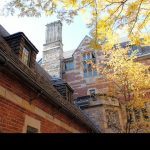 If you had any interest in learning more about Yale University, then a great way to gain insight is through their campus tours. These tours run throughout the week and can be set up through the Visitor Center. 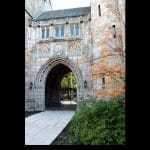 Take in the beautiful Gothic architecture while divulging in a bit of history. The Yale University Art Gallery is open and free to the public. 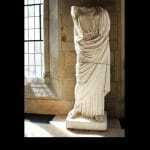 The gallery includes Ancient Roman sculptures (pictured above), as well as more contemporary pieces. One of the best places to try ” New Haven-style” thin crust pizza is Bar. This restaurant is known for their innovative mashed potatoes and bacon pie. They also house the only microbrewery in town. It’s the perfect atmosphere for game day with friends. 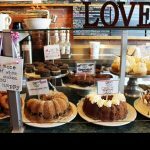 Claire's Corner Copia vegan cafe is the healthiest choice in New Haven.